« Don’t water the concrete….. Nothing tastes as good as fit feels…..
All of us reach a point in our life where something has got to change. It could be eating healthy, doing exercise, or maybe doing more of what we love. – 95% of those who lose weight on a diet regain it. – Even after a heart attack, only 1 in 7 make a sustainable change to eating more healthy and taking regular exercise. – The average person makes the same New Year’s resolution 10 separate times without success. – 70% of organisational change initiatives ultimately fail. In his superb book "The way we’re working isn’t working", performance psychologist Tony Schwartz details why we need to install new habits at the unconscious level. It’s only when they become “automatic", when we don’t think them, that new habits are likely to succeed and stand the test of time. 1. Only bite off what you can chew – don’t try and change too many things at once. Stick to only one or two things. 2. Be precise and specific – write down your goals and then break these down into daily, or even hourly, micro-goals. It’s about moving forward one small step at a time, rather than trying to jump the Grand Canyon in one go. 3. The new habit should be a positive, affirmative act rather than a negative act trying to resist something – trying to resist eating chocolate and cookies all day rapidly depletes our willpower. Having healthy snacks close to hand in the office and at home avoids hunger which can trigger the old habit. It’s easier and more effective to avoid temptation than to resist it. Planning and scheduling are major contributors towards staying on the path to success. 4. We derive a sense of safety from doing what we’ve always done, even if it will damage us in the long run. So we need to recognise how we might unconsciously sabotage our need for change to maintain the status quo. For example, after a long hard day at work, a bottle of wine with a take away curry, will numb the fatigue and boost the blood sugar levels, whereas a salad with a mineral water probably won’t be quite as comforting. Recognising the downsides and focussing on the positive i.e., “nothing tastes as good as fit feels" will enhance the chance of success. 5. Enlist the support of others. When you make a commitment to someone else to change a behaviour, it creates a higher level of accountability. A coach or a group of 3 or 4 people is ideal. Check in with your new habit partner(s) once a week. 6. Ask the person in the mirror “How am I doing?" Because our appetite for instant gratification and our capacity to kid ourselves will never disappear, we need to look in the mirror from time to time. Honest self-observation is the antidote to unwitting self-deception. At the end of the day, we can’t change what we don’t see. If I can help you with creating a new habit, then do let me know. A man who wants something will find a way; a man who doesn’t will find an excuse – Stephen Dolley Jr. 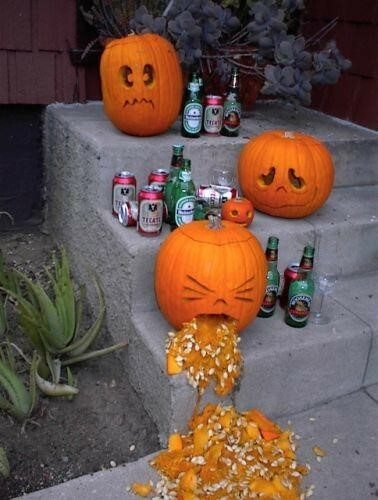 If you’re having a Halloween party, then do be careful….. This entry was posted by Sunil Bali on October 30, 2011 at 6:50 am, and is filled under Mindset, Set & Match. Follow any responses to this post through RSS 2.0. Both comments and pings are currently closed.